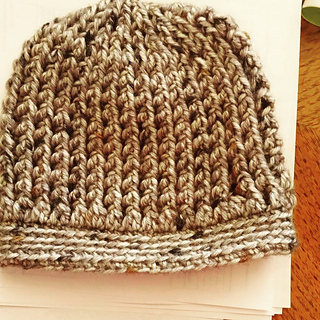 This squishy, textured hat features double sided three-dimensional ridges and pebbles. 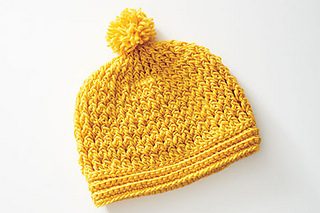 The hat can be worn either side out—or define your favorite side by adding a pom-pom. 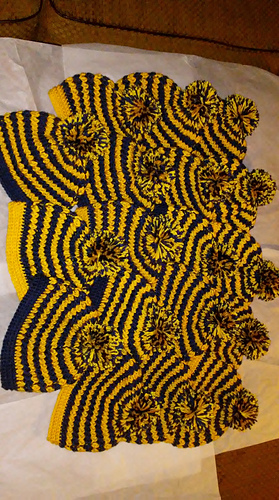 FINISHED SIZE 13 (15, 17, 19, 21)“ band circumference, 6½ (7¼ , 7¾ , 7¾ , 8¼ )” tall. 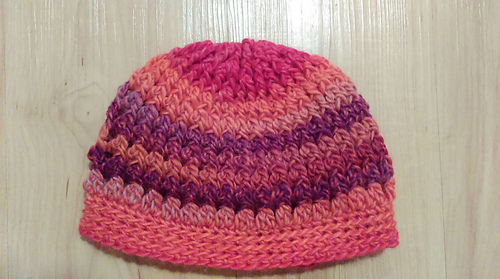 Hat shown measures 19”(in lemon drop) and 21” (in teal haze) with 1” of negative ease at band. HOOK Size I/9 (5.5 mm) and J/10 (6 mm). Adjust hook size if necessary to obtain correct gauge. NOTIONS Yarn needle; optional: 2¼ “ pom-pom maker.